In Quantum Relativity, time and space are separated. Time is the numerical order of material changes, and space is the medium, in which these changes take place. Space has the origin in a three-dimensional quantum vacuum defined by fluctuations of the energy density corresponding to elementary RS (reduction state) processes of creation/annihilation of elementary quanta. Quantum Relativity provides a unifying approach to special relativity, general relativity, and quantum mechanics. Each physical object from the micro- to the macroscale can be derived from an opportune diminishing of the quantum vacuum energy density. In particular, the variable energy density of space in Quantum Relativity corresponds to the curvature of space in general relativity. In quantum theory, the behavior of each subatomic particle follows from opportune elementary RS processes of creation/annihilation of quanta guided by a quantum potential of the vacuum. Finally, the perspectives of this model regarding the view of gravity and quantum as two aspects of the same coin and the electroweak scale are analyzed. C. Rovelli. Loop quantum gravity. Physics World 7 (11), 1 (2003). C. Rovelli. Loop quantum gravity. http://relativity.livingreviews.org/Articles/lrr-2008-5/ (2008). C. Rovelli. A new look at loop quantum gravity. arXiv: 1004.1780v1 [gr-qc] (2010). D. Fiscaletti, A. Sorli. Perspectives about quantum mechanics in a model of a three-dimensional quantum vacuum where time is a mathematical dimension. SOP Transactions on Theoretical Physics 1 (3), 11 (2014). D. Fiscaletti, A. Sorli. Space-time curvature of general relativity and energy density of a three-dimensional quantum vacuum. Annales UMCS Sectio AAA: Physica LXIX, 55 (2014). D. Fiscaletti, A. Sorli. About a new suggested interpretation of special theory of relativity within a three-dimensional Euclid space. Annales UMCS Sectio AAA: Physica LXVIII, 36 (2013). A. Rueda, B. Haisch. Gravity and the quantum vacuum inertia hypothesis. Annalen der Physik 14 (8), 479 (2005). D. Fiscaletti. About dark energy and dark matter in a three-dimensional quantum vacuum model. Foundations of Physics 46 (10), 1307 (2016). D. Fiscaletti, A. Sorli. Bijective epistemology and spacetime. Foundations of Science 20 (4), 387 (2015). D. Fiscaletti. Foreword: The quantum and the geometry. Quantum Matter 3 (3), 161 (2014). I. Licata. Vision of oneness. Spacetime geometry and quantum physics. In Vision of Oneness. Edited by I. Licata, A. Sakaji (Aracne, 2011). L. Chiatti. The transaction as a quantum concept. In Space-Time Geometry and Quantum Events. Edited by I. Licata (Nova Science, 2014). I. Licata. Transaction and non-locality in quantum field theory. European Physical Journal Web of Conferenes 70, 00039 (2014). G.E. Volovik. The Universe in a Helium Droplet (Clarendon Press, 2003). V. Sbitnev. From the Newton's laws to motion of the fluid and superfluid vacuum: vortex tubes, rings, and others. arXiv: 1403.3900v2 [physics.flu-dyn] (2014). V. Sbitnev. Hydrodynamics of the physical vacuum: dark matter is an illusion. arXiv: 1507.03519v1 [physics.gen-ph] (2015). V. Sbitnev. Physical vacuum is a special superfluid medium. In Selected Topics in Applications of Quantum Mechanics. Edited by M.R. Pahlavani (InTech, Rijeka, 2015) Chapter 12, p. 345. V. Sbitnev. Navier–Stokes equation describes the movement of a special superfluid medium. http://arxiv.org/abs/1504.07497 (2015). I. Licata, L. Chiatti. Timeless approach to quantum jumps. Quanta 4 (1), 10 (2015). D. Fiscaletti, A. Sorli. About a three-dimensional quantum vacuum as the ultimate origin of gravity, electromagnetic field, dark energy . . . and quantum behaviour. Ukr. J. Phys. 61 (5), 413 (2016). D. Fiscaletti. What is the actual behaviour of the electron? From Bohm's approach to the transactional interpretation to a three-dimensional timeless non-local quantum vacuum. Electron. J. Theor. Phys. 13 (35), 1 (2016). D. Fiscaletti, I. Licata. Bell length in the entanglement geometry. Intern. J. Theor. Phys. 54 (7), 2362 (2015). J.S. Bell. On the Einstein–Podolsky–Rosen paradox. Physics 1 (3), 195 (1964). J.F. Clauser, M.A. Horn, A. Shimony, R.A. Holt. Proposed experiment to test local hidden-variable theories. Phys. Rev. Lett. 23, 880 (1969). J.F. Clauser, M.A. Horne. Experimental consequences of objective local theories. Phys. Rev. D 10, 526 (1974). M.W. Hall. Correlation distance and bounds for mutual information. Entropy 15, 3698 (2013). N. Easwar, D.A. Macintire. 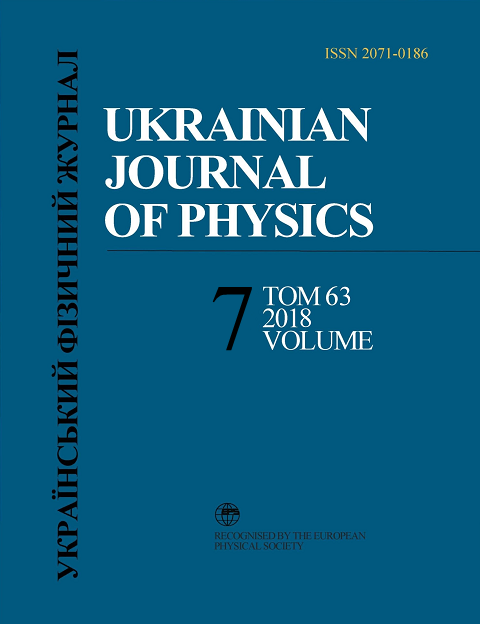 Study of the effect of relativistic time dilation on cosmic ray muon flux – An undergraduate modern physics experiment. Am. J. Phys. 59 (7), 589 (1991). E.J. Post. Sagnac effect. Rev. Mod. Phys. 39 (2), 475 (1967). D. Fiscaletti, A. Sorli. Dynamic quantum vacuum and relativity. Annales UMCS Sectio AAA: Physica LXXI, 11 (2016). J.H. Field. The Sagnac effect and transformations of relative velocities between inertial frames. http://www.relativity-myths.org.uk/jhfield/pdf/sagnacp1rr.pdf (2012). A. Tartaglia. Does anything happen on a rotating disk ? In Relativity in Rotating Frames. Edited by G. Rizzi, M.L. Ruggiero (Kluwer, 2004). R.D. Klauber. Derivation of the general case Sagnac result using non-time-orthogonal analysis. Foundat. Phys. Lett. 16 (5), 447 (2003). N. Ashby. Relativity in the global positioning system. Living Reviews in Relativity 6, 1 (2003). A. Rueda, B. Haisch. Contribution to the inertial mass by reaction of the vacuum to accelerated motion. Foundat. Phys. 28 (7), 1057 (1998). A. Rueda, B. Haisch. Inertial mass as reaction of the vacuum to accelerated motion. Phys. Lett. A 240 (3), 115 (1998). B. Haisch, A. Rueda, Y. Dobyns. Inertial mass and the quantum vacuum fields Annalen der Physik (Leipzig) 10 (5), 393 (2001). A. Shojai, F. Shojai. About some problems raised by the relativistic form of de Broglie–Bohm theory of pilot wave. Physica Scripta 64 (5), 413 (2001). F. Shojai, A. Shojai. Understanding quantum theory in terms of geometry. arXiv:gr-qc/0404102 v1 (2004). A.F. Ali, S. Das. Cosmology from quantum potential. Phys. Lett. B 741, 276 (2015). D. Fiscaletti, A. Sorli. About electroweak symmetry breaking, electroweak vacuum and dark matter in a new suggested proposal of completion of the Standard Model in terms of energy fluctuations of a timeless three-dimensional quantum vacuum. Quantum Phys. Lett. 5 (3), 33 (2016). E. Gabrielli, M. Heikinheimo, K. Kannike, A. Racioppi, M. Raidal, C. Spethmann. Towards completing the Standard Model: Vacuum stability, EWSB and dark matter. arXiv: 1309.6632.pdf [hep-th] (2013). S.L. Glashow. Partial-symmetries of weak interactions. Nuclear Physics 22 (4), 579 (1961). S. Weinberg. A model of leptons. Phys. Rev. Lett. 19 (21), 1264 (1967). A. Salam. Weak and electromagnetic interactions. Conf. Proc. C 680519, 367 (1968). G. 't Hooft. Renormalization of massless Yang–Mills fields. Nuclear Physics B 33 (1), 173 (1971).